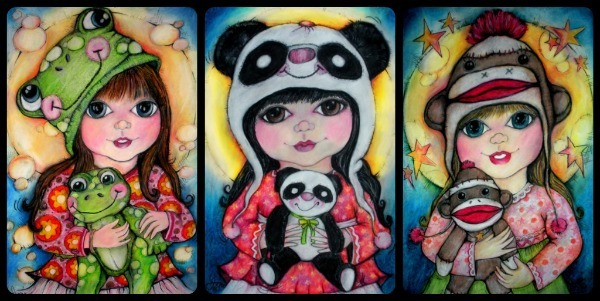 Pop Art Minis: Posh Pandas and A Paper Moon...The Hat Tricks Continue! 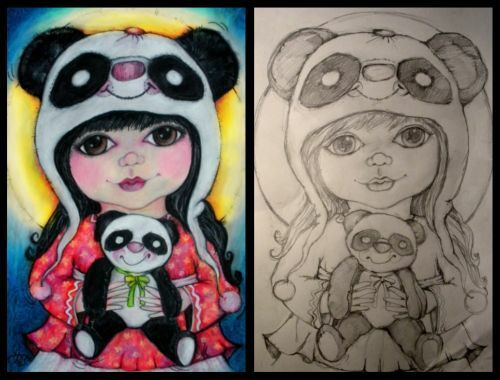 Posh Pandas and A Paper Moon...The Hat Tricks Continue! Oh, Mr. Moon...you always seem to find a way to become a part of a mini and this time is no exception. 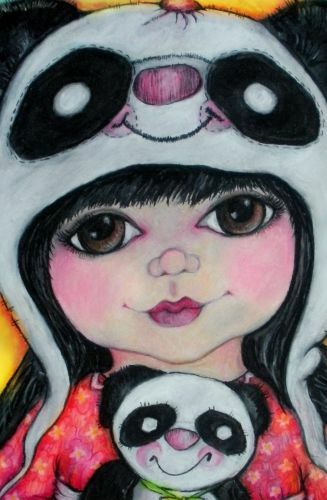 As I continue with what appears to be shaping into a collection of "hat tricks" and happy companions the latest to join the festivities is my Posh Panda duo! Poppin' with color, sweetness (thus, the share over at Sweet Saturday) and a big, bright shiny "paper moon" this mini just about makes me want to swoon! hehehe! Here's the side by side and closeups! And a look at the collection of three. Have a Fave? Hmmm...thinking about what the next animal hat should be...what would you like to see? Hat's Off to YOU...Have a Great Day! 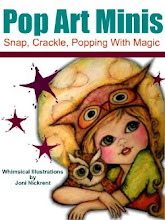 Pop by and check out all of the wonderful creative fun! I think a lion hat would be cute with a big fluffy mane,,she could be ferocious and cute at the same time,, I love her little nose,, so sweet!@!! oh, too sweet!!!! 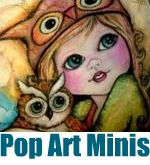 i have to update and work on my blog, girl... it has been a real hassle trying to pretty it up the last few months! hoping to dive in this weekend! have a beautiful day and i love peeking in on what you're up to!!! oh this is so cute! love the 'matching' hat. How cute! Sweet little girls! sweet! I would definitely like to see a rabbit or bunny next or even a piggy. Thanks so much for all the wonderfully awesome comments and love! Always a treat to hear from you! Happy Sweet Saturday and Paint Party Friday! You have a fantastic style and I adore your submission this week. HAPPY PPF! Oh what fun you are having and what fun"I" am having!!! Hi Joni, another really adorable girl. I love your style and your work is always happy. totally love all 3 but my favorite is the frog!!!!!! I like the sock monkey one ..how about a Kitten ? This series is fantastic! 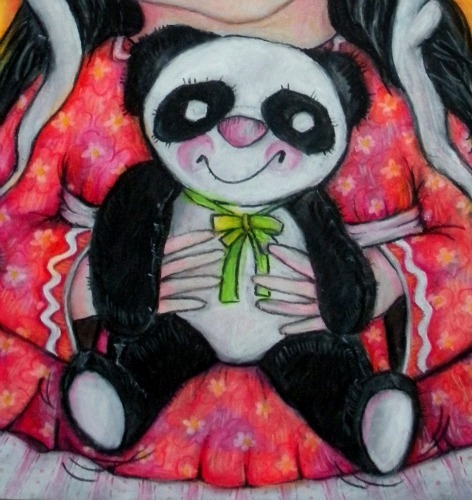 I love this panda too. You are doing an amazing job! I love ALL of these so much! They are adorable! It's too hard to pick a fave!! I love all three of these! So very sweet! Your artwork always brings a smile to my face because your girls look so happy! I like them all. They are fantastic. I love your unique style. Sweet! Happy PPF! Oh Joni!!! your work is beyond sweetness!!! you always make my day with your creations!!! 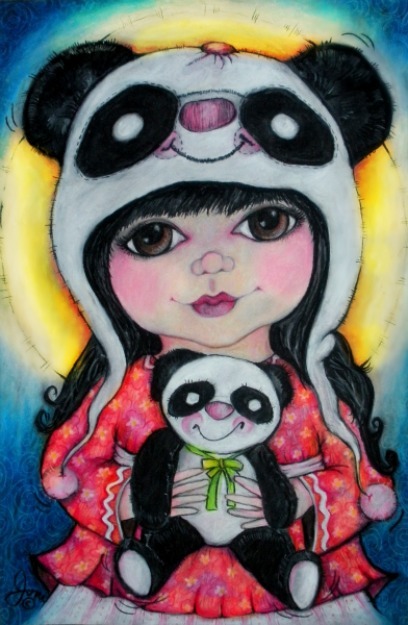 love this panda girl!!! !